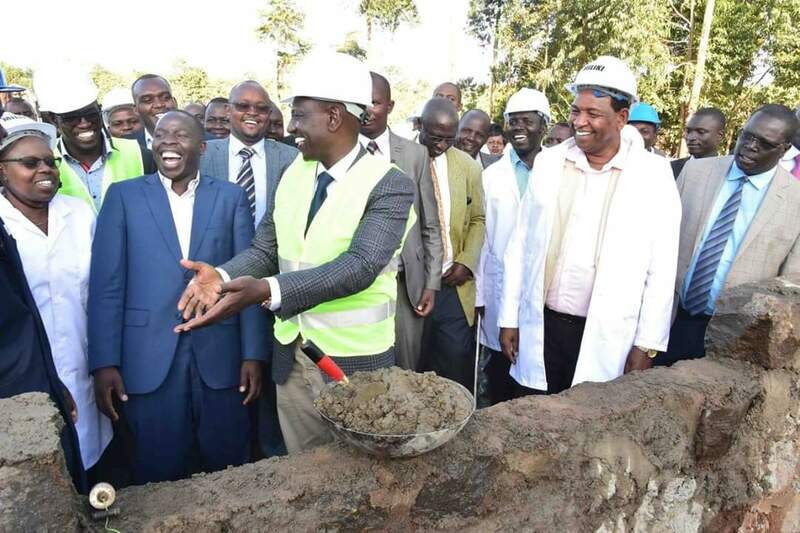 Deputy President Dr. William Ruto laying the foundation stone. Nandi County will be the first County to construct a Milk Processing Plant that will help dairy farmers in value addition by processing and packaging their dairy produce. The Plant is located in Kabiyet area, Mosop Sub County, an area that leads in Milk production within the county. During the event, Nandi Governor Stephen Sang said that his administration was committed in delivering his promise to the people of Nandi. “We campaigned on a platform of changing the lives of our people by initiating development projects that would directly benefit them. The Milk Processing plant that we promised to deliver will go a long way in helping our dairy farmers” Sang said. Dr. Ruto lauded the county’s development record saying that Nandi was one of the model counties which Devolution has worked. Nandi is one of Kenyan counties that is considered the breadbasket of the country with a majority of its residents engaging in Agricultural activities.